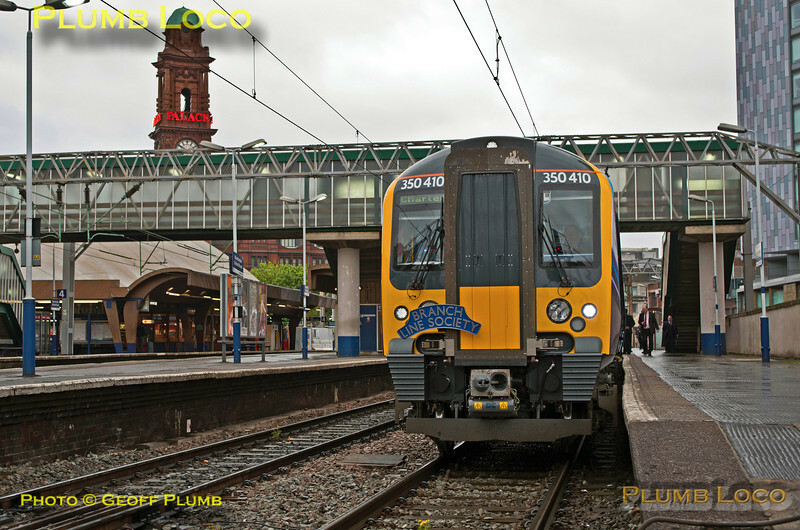 TPE 350 410 sits in Platform 1 at Manchester Oxford Road station awaiting departure time of 07:53 with 1Z50, the BLS TPE "Clyde Race Tracker" tour, the first leg to Edinburgh Craigentinny T&RSMD via various routes. 07:46¾, Saturday 26th April 2014. Photo taken with permission and under supervision. Digital Image No. IGMP3573.